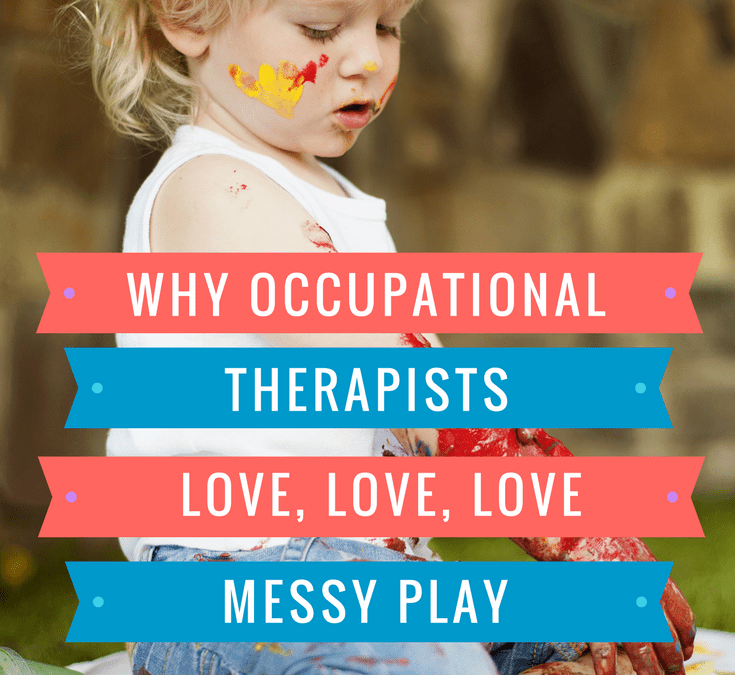 Why do Occupational Therapists LOVE messy play? Something we do a lot of here at Bloom Wellbeing with our paediatric Occupational Therapy crew is “Messy Play” – in any given session one of our kiddos can be found elbow deep in gloop, slime, paint, mud or shaving cream. And while it probably makes more work for parents in the laundry, messy play is actually a fantastic task for all children. As an Occupational Therapist (OT), I’m a big believer in providing a wide range of play opportunities for all children of all ages. Messy play is a winner on so many fronts, not the least because the majority of children absolutely love it! The fun factor is definitely a big plus in our OT eyes – we always strive to make our sessions super fun – kids learn and develop through play – so we use play to help them learn and develop. 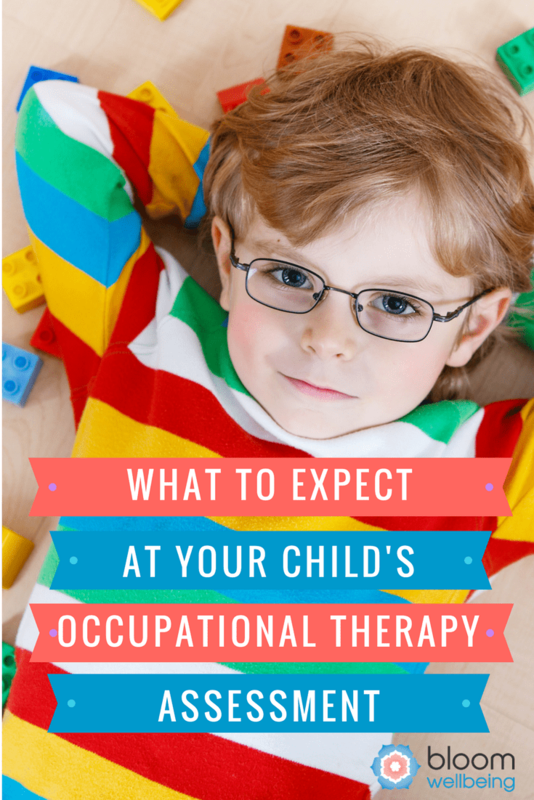 For 99pc of our clients, they can’t wait to get back into the OT room for their next session to see what fun stuff they’re going to be doing this week. So yes, the fun, fun, fun is important, but here’s a quick roundup of several of the other reasons we love, love, love messy play. The sensory experience of messy play helps children build body awareness, build fine motor skills, finger and hand strength and dexterity and improve hand-eye co-ordination. To build on this, we encourage the use of lots of tools within the sensory play, such as using utensils, filling and pouring from cups, and ‘writing’ with tools. Messy play offers lots of opportunities to talk and communicate. We speak with your child about how the activity feels – talk about the sensations they’re experiencing, colours, the actions – we use lots of describing words. Eg. “Wow, feel how fluffy this foam feels, look at this enormous/tiny/squiggly circle you drew, this slime is sloppy and bright green”. Creative play is another area where lots of children struggle, and messy play is the perfect medium for creating vivid, unexpected play stories. For example, if we add a few mini Mac Trucks to a stack of shaving foam it instantly transforms into a blizzard, if we add a few plastic frogs to a pile of green gloop it can become a swamp, deep inside a spooky forest. There are no rules in messy play, there’s no ‘right’ or ‘wrong’ way to do it, so children can have the freedom to experiment, explore and create in their own time, without feeling the pressure of “getting something right”. This can build confidence and self esteem. Messy play is also a great sensory outlet for emotions – such as joy, anger, frustration, excitement. Messy play can also have a calming influence for children. 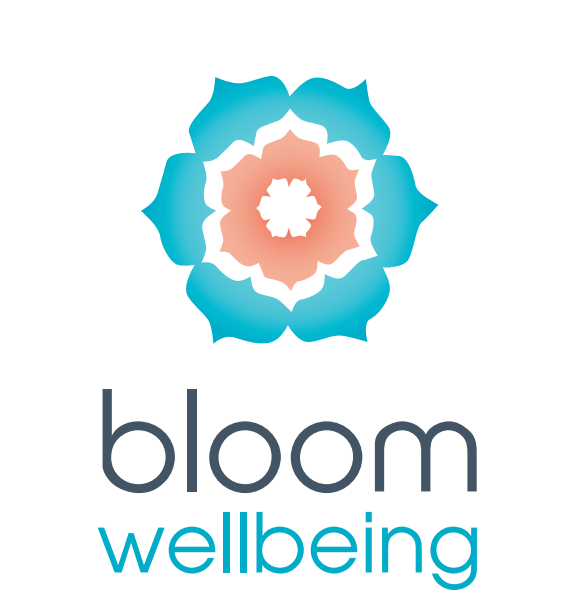 The sensory and repetitive nature of some activities can help children focus their attention, increasing mindfulness, which is a powerful tool to reduce anxiety and depressive symptoms in both children and adults. Messy play also provides opportunities to build foundational academic skills, including concepts such counting, measuring, mixing colours, sorting, creating patterns, predicting and observing outcomes, cause and effect, etc. It may not seem like they’re learning – but they definitely are! Remember that messy play is really important for your children’s development, but most of all it’s FUN! As parents we can get so caught up in making sure we do all the right things for our children’s development, but messy play is one activity we can simply set up and enjoy – we don’t need to think too much about it! Set the activity up in an area you don’t mind getting messy – eg on the patio, on the lawn, or cover the kitchen table with a plastic tablecloth. Make sure you prepare lots of towels, paper towels, face washers, and fresh sets of clothes before you start the activity, to make clean up quicker and easier. Gloop/slime – kids LOVE this one. Here are a couple of recipes – they require hot water – so use caution when preparing and make sure you check the temperatures before allowing children to play with it. Mix together 1 cup of lux flakes and 3 cups of hot/boiling water – whisk together in a big bowl until light and fluffy – this mix will thicken up overnight. Let your kids explore different textures by adding food colouring, sprinkles or glitter. Shaving cream – cover a smooth surface with shaving cream and let your children explore the texture with their hands – they might want to create patterns, write letters or shapes, draw pictures, or move their hands through the foam in random movements, or pile the foam into big mounds. You can use a table covered with a plastic table cloth, or use shaving cream on different surfaces – a great option is to use a large window or sliding glass door – the vertical surface helps to build upper body strength and core strength at the same time. From the pantry – have you got a big pack of uncooked rice, split peas or pasta shells, these are all good for messy, sensory play. Pop a few tiny objects in the tub and have your children try to find them using their hands. The old faithfuls – such as playdough, finger paint and kinetic sand – you can get these all pretty cheaply from department or toy stores these days. Playing outside – channel your inner Peppa Pig and get them jumping in muddy puddles, water and sand tables are a great resource – I think every home should have one – they can fit in even the smallest yards, sandpits – at home if you have space, or at the local park – or the greatest sandpit of all – the beach! These offer great opportunities for children to get messy “all over their body” which provides great sensory input. Cooking – kids of all ages love cooking! Think about tasks which allow them to use their hands, such as kneading dough for homemade pizzas, or pouring handfuls of sprinkles onto cupcakes. Just make sure they wash their hands before cooking! As a bonus, getting fussy eaters involved in the food preparation might even help them be more inclined to try a new food. Eating – for those of you who have babies or young toddlers, remember that messy eating is a good thing! When children are first exploring new foods it’s important for them to play and explore their food – with their hands and mouths – encouraging increased exploration can help improved children’s willingness to try different foods later on through the lifespan. Think about it this way – if a child isn’t sure about touching a food with their fingers, is it any wonder they’re unsure about putting it into their mouths? Get them to touch and explore their food. Self care – have your children help rub in their own sunscreen or body lotions, or lather their own shampoo in the bath, let them pop extra bubble bath in the tub to make bubble beards and mohawks. Remember – the name of the game is fun! Well that’s it from me on the topic of messy play for today. The most important thing is to not overthink it – just channel your own inner child and have fun! 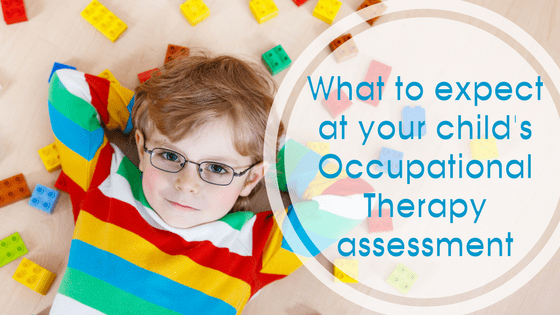 As an OT I’m often asked about what the best “educational” toys are for kids. Check out my latest blog post over on Mum Central here. But before you do. 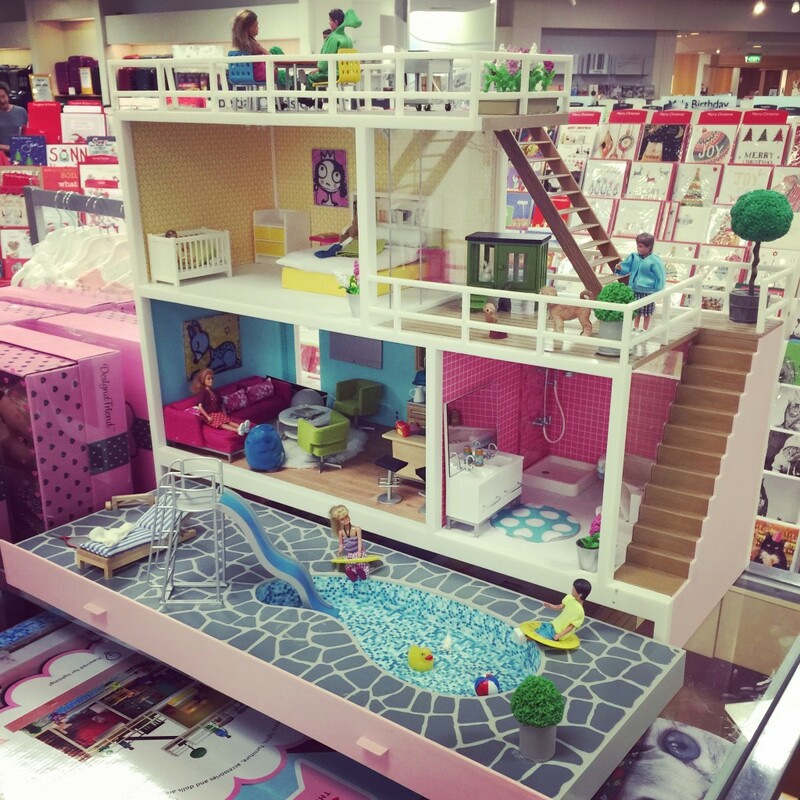 Check out this 100pc AMAZING dolls house I saw at David Jones today. And yes, dolls houses are on my list! Better get cracking – only 7 shopping days left till Christmas….